Freestanding stone bathtubs for sale, but always well suited to the needs of a customer. Our bathtubs (made of natural stone) are always manufactured in a way to closely meet the recepient’s requirements, regardless whether the soaking river stone tub is made for a wholesaler, interior designer, or an architect who made a project for a client and demands exact shape or colour. The natural stone bathtub is never ready for us until it fully satisfies the recepient. It may sometimes take as long as few months to perfect an exceptionally complex orders, but the effect is truly worthwhile. Below, you can find examples why, in case of the bathroom or SPA projects, we always have to start planning beforehand. That would provide us with all the necessary time to present all the possibilities and get everything right. Each stone bathtub comes directly from our factory in Indonesia. A couple of project examples created by interior designers who used our model of soaking pebble bathtub. 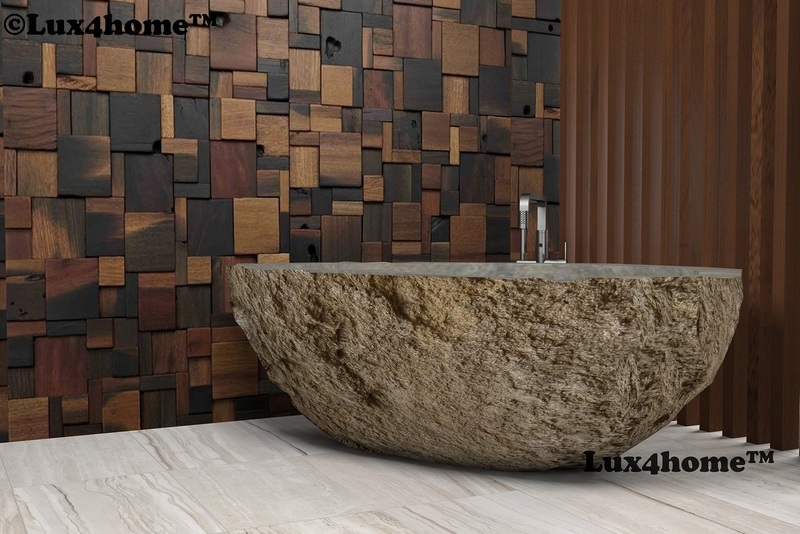 Natural Stone bathtubs Flumen, made by us in Indonesia, are getting more and more popular in the whole world. Back in the day, stone tubs like this might have been spotted mainly in the hotels on the island of Bali. 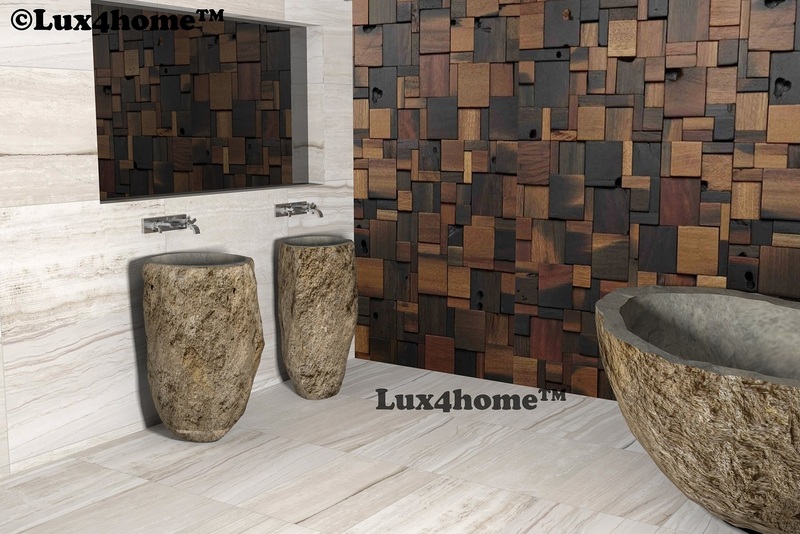 Today, Lux4home™ is proud to present the photos of these soaking tubs for sale not only in countries like Indonesia, Poland, Germany, USA, The Caribbean or Dubai but also in Mexico. One&Only Palmilla Los Cabos Mexico Resort – the place where interiors were decorated with stone bathtubs from Indonesia. This prestigious element filled the place with magnificence and excitement. This is yet another location which, thanks to the natural products of Lux4home™, offers relaxation and pleasant sensations for the body and skin. 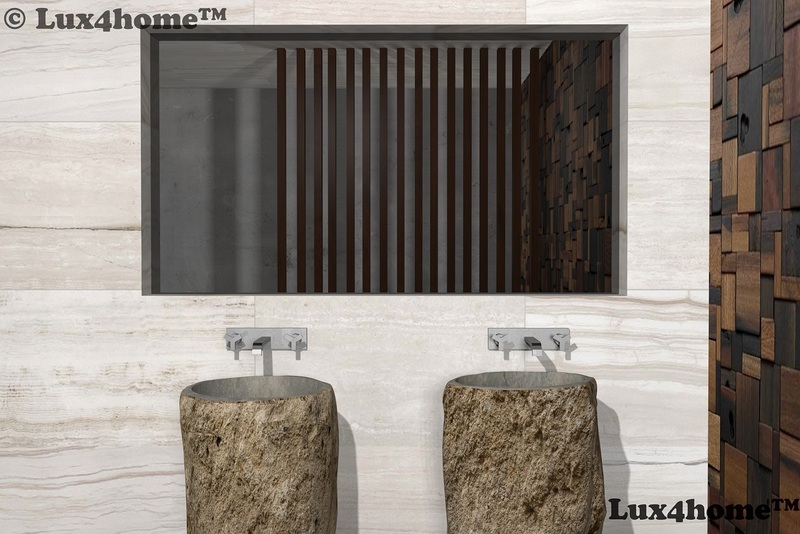 The stone baths may be manufactured in different ways, but the fact that Lux4home™ is privileged to add the final touches to places like leaves no doubt as to the significance of our products. We always pay extra attention to every detail, no matter what kind of natural stone is involved. Our marble bathtubs are manufactured just as fine as the River Stone counterparts. What is more, we are able to dropship them all over the world, so the interiors (and exteriors) of our clients can be admired for long years in any part of the world. The pureness of Bali may come into your house to stay. We invite importers, interior designers, bathroom hardware and interior stores to work with us. We manufacture and export our products from Indonesia to any destination. You can always count on our help and support. Our natural stone bathtubs make a one-of-a-kind focal point around which you can plan and arrange everything else up to your tastes and desires. One of the top contemporary tendencies in the interior solutions is the application of natural and eco-friendly materials. With outstanding qualities, versatile applications and allowing a wide range of design options, these materials add a topnotch luxury in the home interior décor. The trend is inspired by Mother Nature’s eternal beauty and tends to find the perfect blend between traditional values and modern times technology. well as we always go an extra mile in order to satisfy our customers. If you already had a bath in a stone bathtub you mast have realized that it is way more comfortable and relaxing than when in acryl tub. Did you also notice that water remains hot much longer? This is due to natural properties of a stone. If you have a look on these pictures you realize quickly, that stone sinks and baths are like pieces of art. Handmade, never with equally the same patterns or shade. With them inside, your bathroom can be easily transformed into most peaceful, and relaxing place you can think of. Just like your favorite spa. It is true, that they are heavy, but this is stone, and it is supposed to be heavy. Nevertheless, with a little work you can fit them to every single bathroom. As you can see on the pictures, natural stone fits classic style, oriental style or even new age designs. With a little help of your interior designer you can make your bathroom unique and spectacular. This particular model is called River Stone Bath. We manufacture it together with other stone bathtubs and stone sinks in East Java. These particular pictures you can see, we received from clients, and some interior designers we work with. Don’t you think they are magnificent? 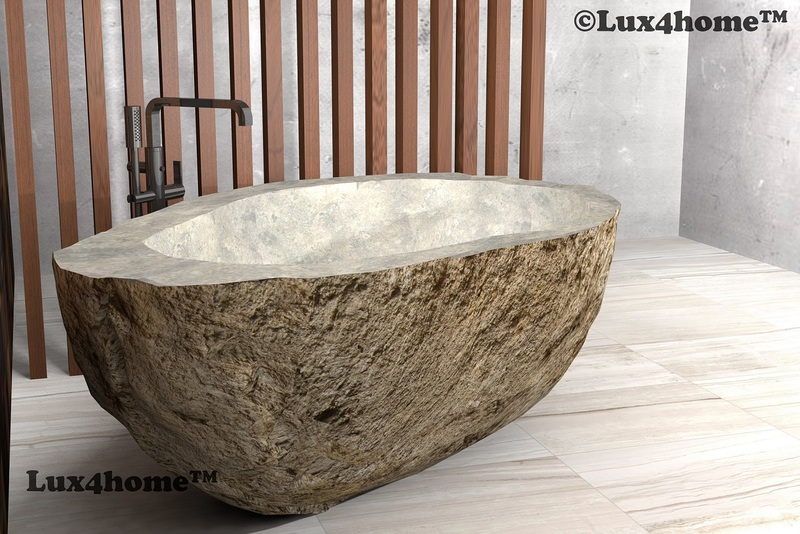 Lux4home™ stone bathtubs are mostly made to measure. If clients of yours decide to have stone bathtub, they definitely want it to be unique and to fit their expectations perfectly, regarding size, color, stone material and shape. Natural river stone bathtubs Flumen are produced in Indonesia, Java island. Each one weight about 1500kg. Time of produce is about 2 to 3 weeks. You may find it long, but what you must realize, is that each single piece is made manually only. After getting stone from the source, our craftsmen crosscut it and drain. Flumen bathtub is only drained and polished inside. The outside remains unchanged, just as it was created by Mother Nature. Thanks to that they always differ from one another. Each piece has unique shape and shade. Also fossil plants often appear. That make these stone bathtubs absolutely phenomenal. Please also notice, that unlike many others producers Lux4home™ does not use glue, nor grout nor paint when manufacturing. All that we produce and export is nature by itself. Each of our distributors confirm that their clients who put natural river stone bathtub in their bathrooms claim that stone is not cold. It adopts air temperature. That is why it gets warm easily and quick during bath time. Taking bath in bathtub like this is most relaxing and pleasure. 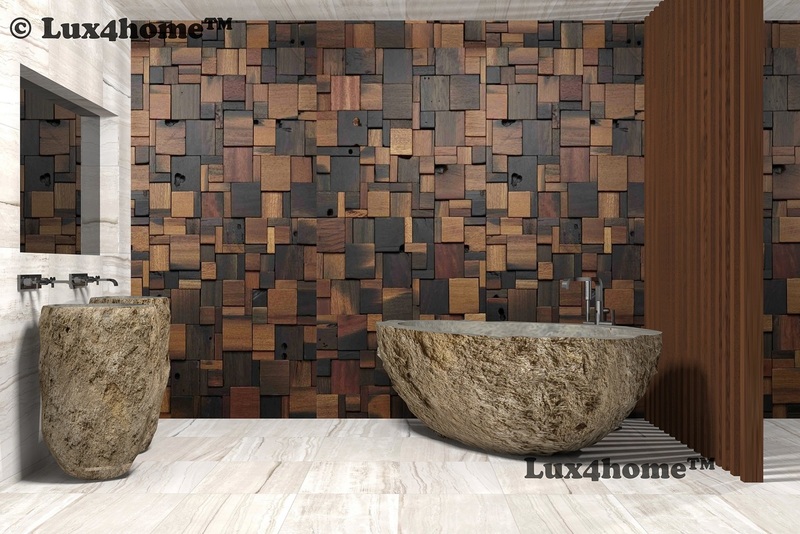 Lux4home™ produce marble bathtubs, river stone bathtubs, onyx bathtubs & andesite bathtubs – black bathtubs. The whole collection is free standing tubs.